Your vehicle’s automatic transmission is very complex and remarkable machine. Numerous parts work together inside your transmission housing to automatically shift gears according to your vehicle’s speed and needs without you ever giving it a second thought. When your automatic transmission begins experiencing problems (begins making unusual noises, leaking fluid, slipping or shifting hard, etc), it can be a sign of developing serious mechanical failures. So if your transmission is beginning to experience difficulties or signs of problems, we’re here to help. 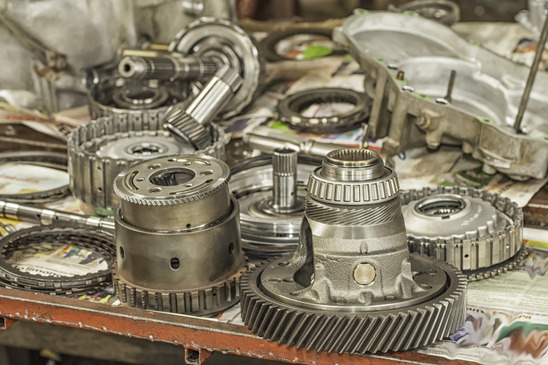 At Lifetime Transmission, our transmission experts have over 50 years of combined experienced working with and repairing automatic transmissions. If necessary, we will tow your vehicle to one of our shops and then do a complete transmission diagnostic, both services at no cost to you. If we do discover some issues that need to be addressed, we will provide you with complete details and explain the work that is needed. If you choose to allow our experts to perform the transmission repair work, we will provide you with a loaner vehicle while your vehicle remains with us. And since no one ever expects major automotive repair bills, we also offer financing if you need it to help lessen the stress. So regardless of the make and model of your vehicle, we can help you fix your automatic transmission problems. Give us a call anytime at (346) 270-9739 or fill our our form for a free quote and we’ll help you get your transmission performing as good as new and make the process as easy and low-cost for you as possible.